The Shell FuelSave Challenge 2014, held for the sixth consecutive year by Shell Malaysia, successfully held its Central Regional Challenge today in Petaling Jaya with the aim of demonstrating to Malaysian drivers how making smarter choices on the road can help them improve their fuel efficiency. Abdul Hafiz was crowned the Central region winner, walking away with a cash prize of RM2,000, where he/she will represent the region in the National Finals held in October in Kuala Lumpur. 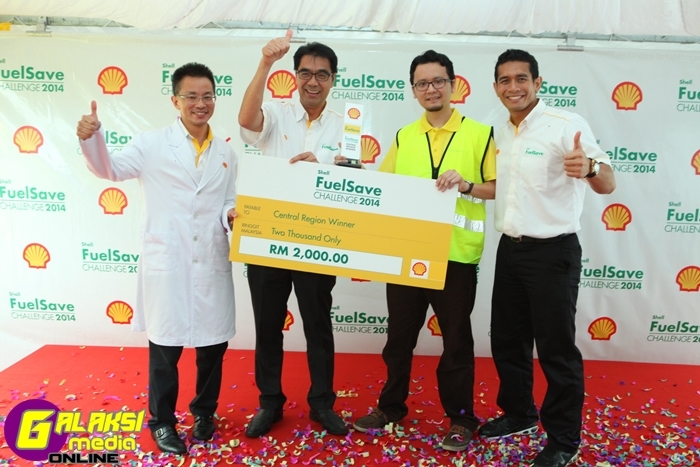 He clocked 18.88 km per litre on Shell FuelSave 95, beating nine other contestants. All participants drove the Hyundai Inokom Elantra 1.6 Sport, the official car for the Shell FuelSave Challenge 2014, sponsored by Hyundai-Sime Darby Motors Sdn. Bhd, along a stipulated route of 114 kilometres. “The Shell FuelSave Challenge is part of our smarter mobility agenda that lets Malaysian drivers experience for themselves just how easy it is to enjoy improved fuel efficiency when they make simple changes to their driving styles.” said Jeffrey Maran, Senior Regional Retail Manager for the Central Region, Shell Malaysia Trading Sdn. Bhd. “By practising Shell FuelSave Tips, coupled with the use of Shell FuelSave fuels that are designed to improve engine efficiency from the first tank, drivers can experience improved fuel economy for themselves,” added Jeffrey. Shell FuelSave Ambassador, Fahrin Ahmad, was also at the event to support the contestants by conducting a fun, live demonstration of the Shell FuelSave Tips with Colin Chin, Shell’s very own Fuels Scientist. Fahrin also cheered on the contestants at flag off and gave them some last minute fuel efficiency tips to use during their driving challenge. 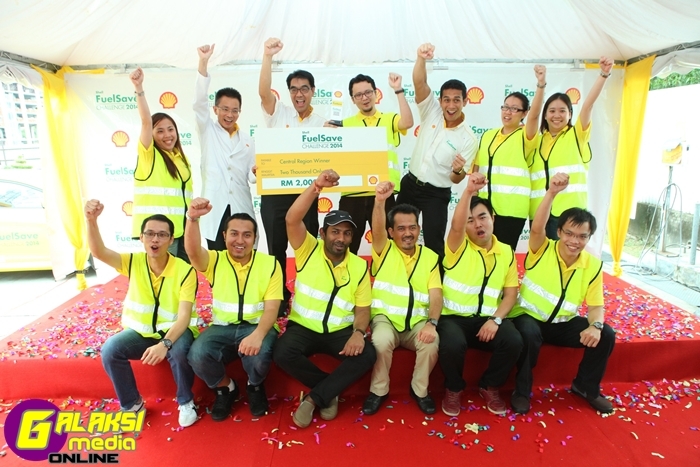 “I have been part of the Shell FuelSave Challenge since it started and I strongly support Shell’s initiative in encouraging Malaysian motorists to make smart choices that promote fuel efficiency. This challenge is truly exciting and I was happy to mentor the contestants by sharing my experience with practising fuel saving tips to be a more fuel efficient driver,” said Fahrin. Shell has also introduced an exciting new online experience, the Shell FuelSave Journey, to engage further with all participants of the Shell FuelSave Challenge and share with them fun and interactive online activities that drive them towards making smarter fuel-saving choices, with the opportunity to win exclusive prizes and rewards. The final regional challenge is open for participation, which will take place in Kuantan. Visit www.shell.com.my/fschallenge for further updates and more information on the Shell FuelSave Challenge 2014. Join the discussion and share your smart driving choices on Twitter and Instagram, with the hashtag #ShellFSC. For more information and the terms and conditions on Shell FuelSave Challenge 2014, log on to www.shell.com.my/fschallenge.